A blog about you and your family! 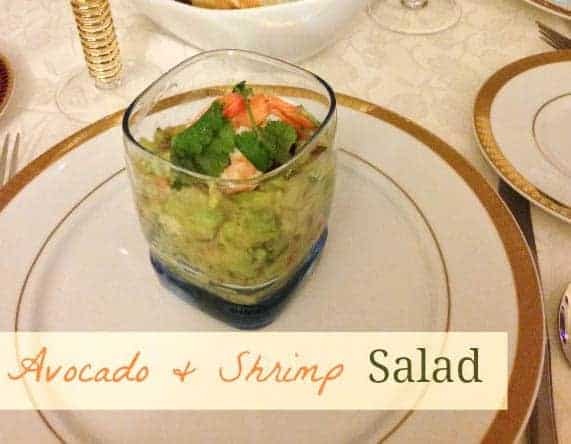 The first time I tried this avocado and shrimp salad recipe, I was at a friend’s house during Christmas holidays. I was awed by this recipe’s taste and presentation! Besides my friend said it was an easy healthy recipe to prepare! Don’t you love when a recipe is easy, healthy and yummy! This is what you get with the avocado and shrimp salad! Although this easy healthy recipe was served as a delicious appetizer during a holiday party, the greens in it make it a fantastic St. Patrick’s Day recipe too! The great thing about shrimp is that its perfect any time of the year. If you are using frozen shrimps: In a large pan, cook shrimps! (Don’t eat them all after because this is what my kids do). Drain the water . If you are using fresh shrimps: in a large bowl, cook them for 10 to 15 minutes! Drain from water and clean! I don’t like cooking fresh shrimps because it smells so bad after. Peel the avocado and dice it! In a large bowl, add avocado and lemon juice. Add shrimps, onion, tomato and pepper and top with coriander. Add salt and pepper and mix all together. Serve in single cups for better presentation. Decorate with shrimps and coriander leaves. This easy healthy recipe makes the perfect start to an amazing meal. Serve it with some delicious garlic bread and it works great as a light lunch too. What do you think of this delicious avocado & shrimp salad recipe? Do you have another favorite way to enjoy shrimp? Olfa Turki is a chartered accountant, a wife and a mom! She loves cooking with the kids, biking, reading books and drinking lots of coffee! Olfa now balances her family life with ownership and backend administration of websites such as MyKidsGuide.com, DogVills.com, LoveYouWedding.com . This looks amazing! Thanks for a great suggestion, I’ve been incorporating a lot of avocados into my diet lately so this is something I would love to try. Sounds interesting. Both are not my favorite foods, but I seem to be the only one. Might be a nice option for our next dinner together though. Lovely appetiser! And sounds delicious. oh that looks so good, I love avocados! Interesting combo…will have to try it sometime! I love seafood of all kinds. I have just started to experiment with avocados and this recipe sounds and looks delicious. This dish is perfect for any type of dinner party. Thanks so much for the recipe. That looks sooooo yummy! I loove avocados!!! This is a great recipe combining my favorite ingredients. 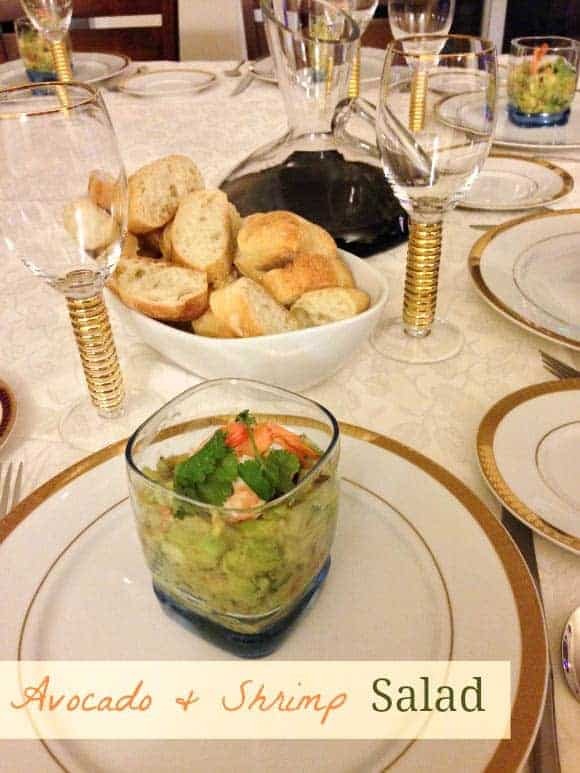 What a lovely presentation for your delicious Avocado Shrimp Salad. Thank you so much for sharing with Full Plate Thursday and have a great weekend. I am not a fan of avocado but would consider making this for a party! I love avocado! healthy and nutritious! Coming from Mix it up Monday! Visit me on my blog! That looks tasty, and so elegant! Never been a fan of avocado, but this recipe is intriguing! What a great recipe idea. I never put avocado in a salad as of yet. Need to get on that. I love avocado but I wouldn’t have thought to have it with shrimp. This sounds good to me! I usually just cook shrimp in butter and garlic. I’ve not heard of this combination before. I have a brother that would absolutely love it. Pass the Gravy without Fear, Clorox 2 Stain Remover & Color Booster is Here!